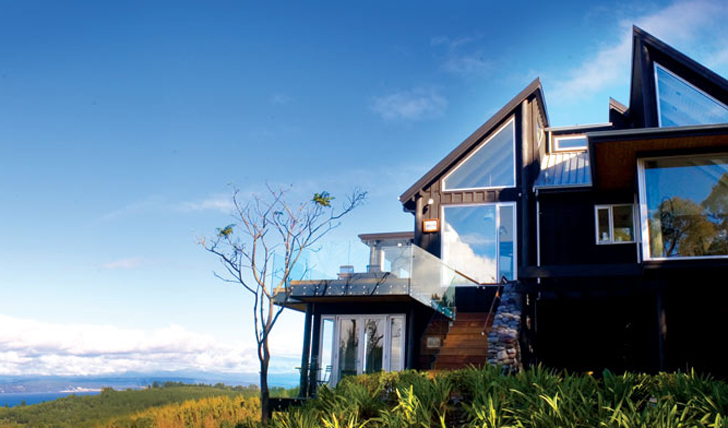 The sleek yet cozy Acacia Cliffs lodge consists of four suites perched up high over Lake Taupo, with great views of the glistening waters. Created with clean lines, white walls and plenty of glass, the suites are simple with a contemporary personality, including big sofas and floor-to-ceiling windows. 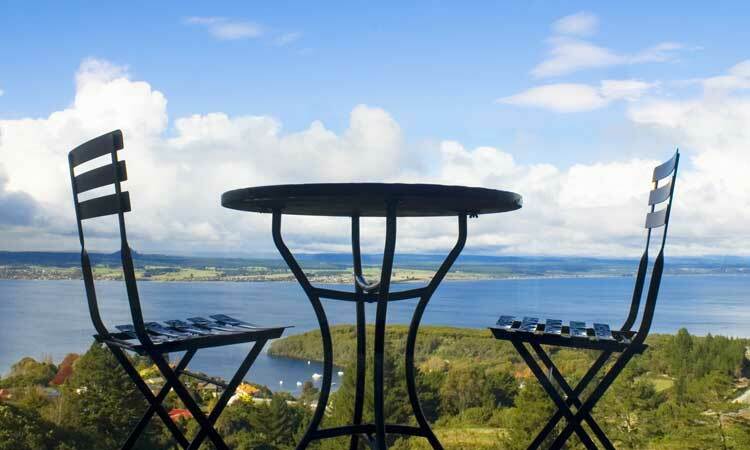 Set in landscaped gardens just six kilometers from Taupo itself, Acacia Cliffs is well positioned for peace and quiet as well as the activities of New Zealand’s largest freshwater lake.